Born wild in the forests of Asia in 1961, Vicky was likely kidnapped and placed into captivity while still a young calf. She was eventually sold and shipped to the United States where, over the following decades, she has been forced to perform for a number of different circus companies. 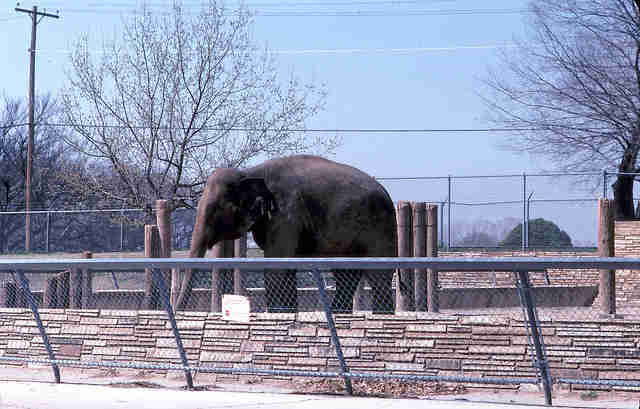 Records are not readily available on the 54-year-old elephant's current whereabouts, but as of 2009 she was still being made to perform with George Carden Circus International. For more than three decades, 54-year-old Zina had worked as a performing elephant with the Ringling Bros. and Barnum & Bailey Circus until briefly being placed into retirement in 2006. 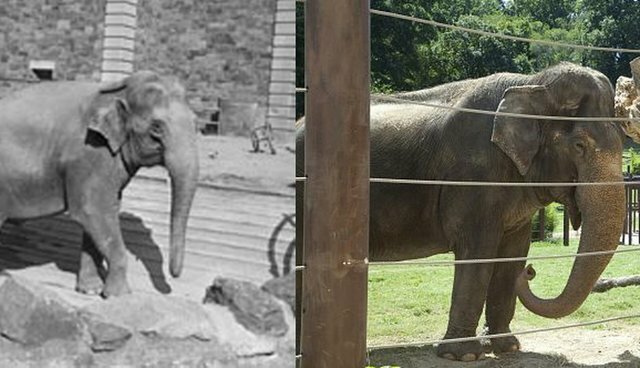 Just five years later, however, the circus "donated" her to be put on display at the Little Rock Zoo where she's been ever since. The zoo has been urged to move Zina into a sanctuary where she can truly live out the rest of her days in peace. Shirley is one of the oldest elephants on record at age 70. Not long after she was born in 1944, she was sent to the United States and forced to travel the country as a circus performer. Since the late 1990s, she's been on display as a living exhibit at Wild Adventures, a theme park in Georgia. 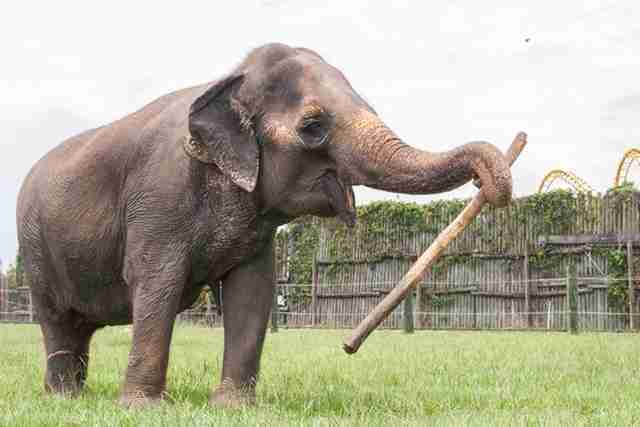 It is unclear from the park's website how much room Shirley has to roam, or if she has the companionship of another elephant. Ruth, who was born in 1959, has spent virtually her entire life behind bars. After a long career traveling with a circus, in 1986 she was sent to live at the Buttonwood Park Zoo in Massachusetts. 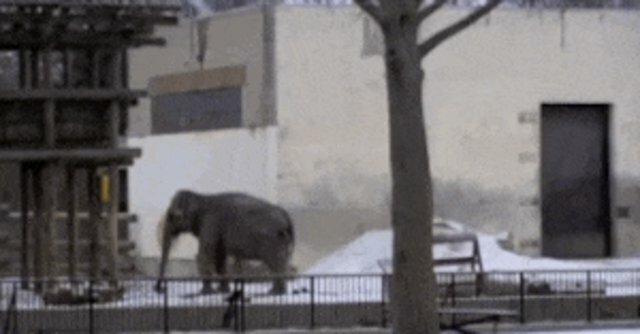 The facility has been named one of the top 10 worst zoos for elephants, having been cited by the U.S. Department of Agriculture for failing to protect the animals from the cold New England weather. 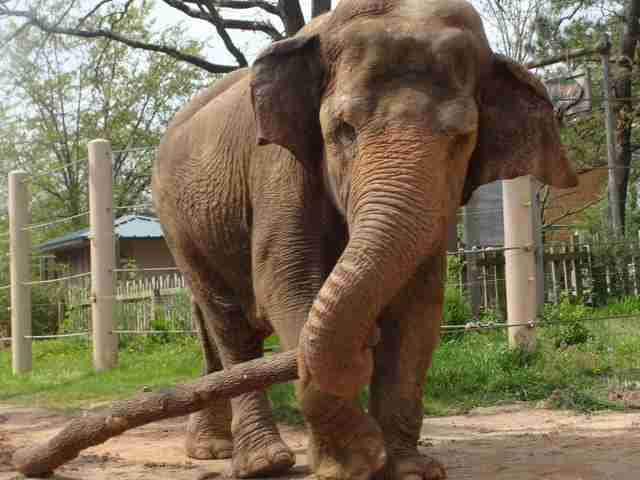 The zoo has rejected calls for 56-year-old Ruth and her companion, Emily, to be freed to a sanctuary. After her birth in 1952, Savannah was transferred to a number of zoos throughout the United States before ultimately winding up at the El Paso Zoo in Texas in 1997. Given her advanced age, welfare supporters have urged that she be moved from her small, barren enclosure to live out her days on the grounds of an elephant sanctuary. 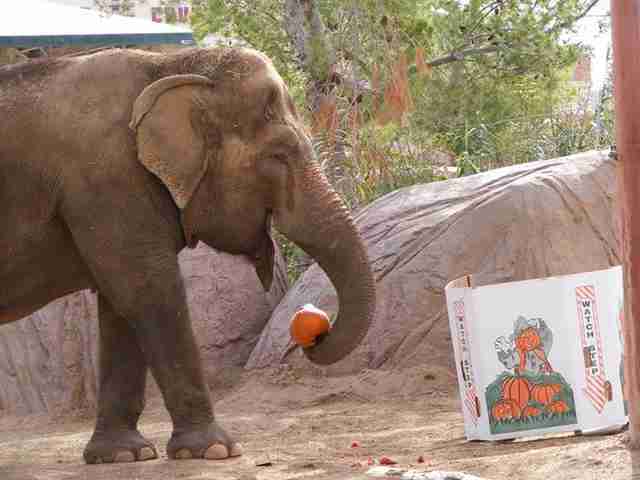 Gunda was just 4 years old in 1954 when she first arrived at the Tulsa Zoo where she's remained ever since. Those years haven't always been happy for the elephant, now age 65. 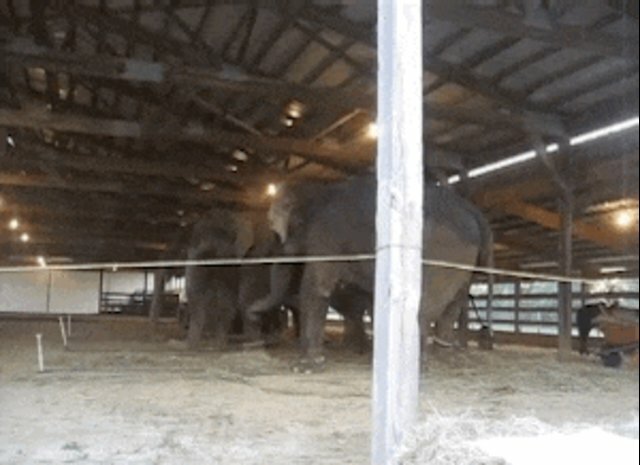 In 1998, she and another elephant attempted to escape their enclosure by snapping the telephone-pole fence that was keeping them in. After her birth in 1948, Ambika spent the first few years of her life performing hard labor in the jungles of India. In 1961, she was sent as a gift to the National Zoo in Washington, D.C., where she's lived behind bars ever since. To learn about ways to help these and other captive elephants, visit the Born Free Foundation's website here.